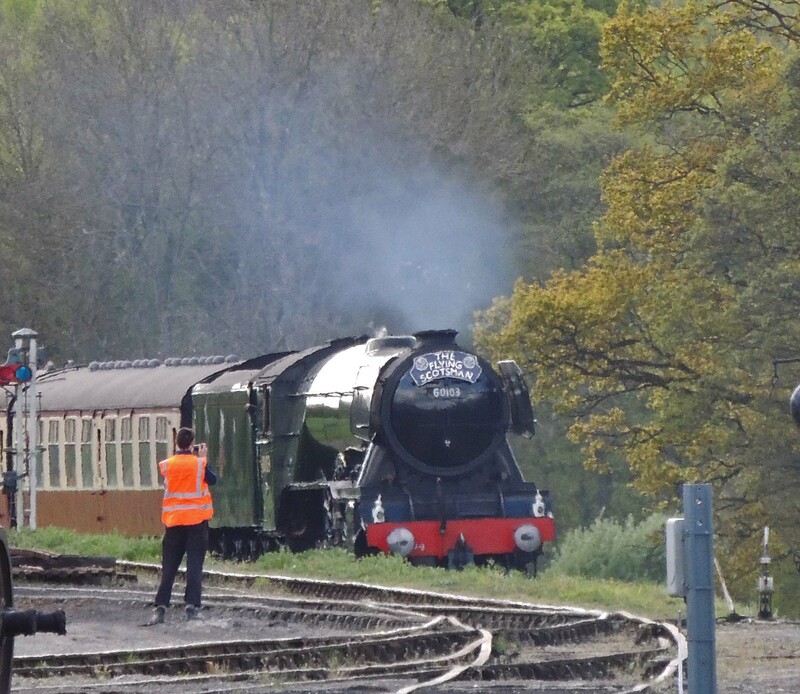 60103 ‘Flying Scotsman’ is probably one of the most famous and iconic heritage steam engines in the UK and this past Bank Holiday weekend it has come south from its home at York to run on the Bluebell Railway in Sussex. 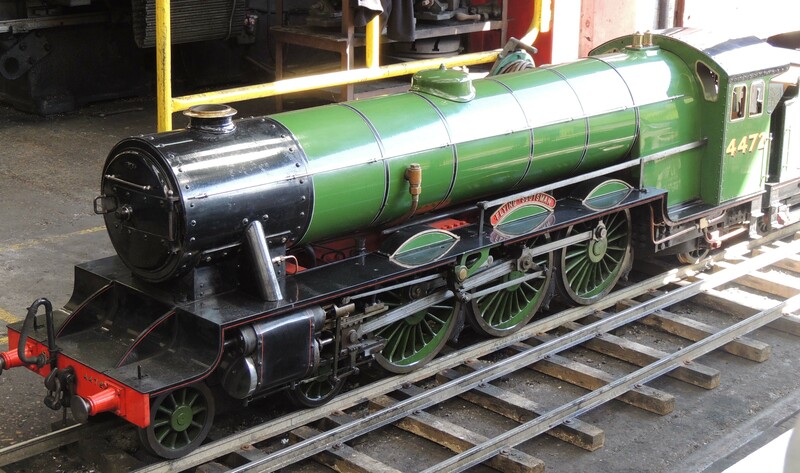 Built as LNER4472, an A1 Pacific class locomotive at Doncaster, it entered into service in February 1923. 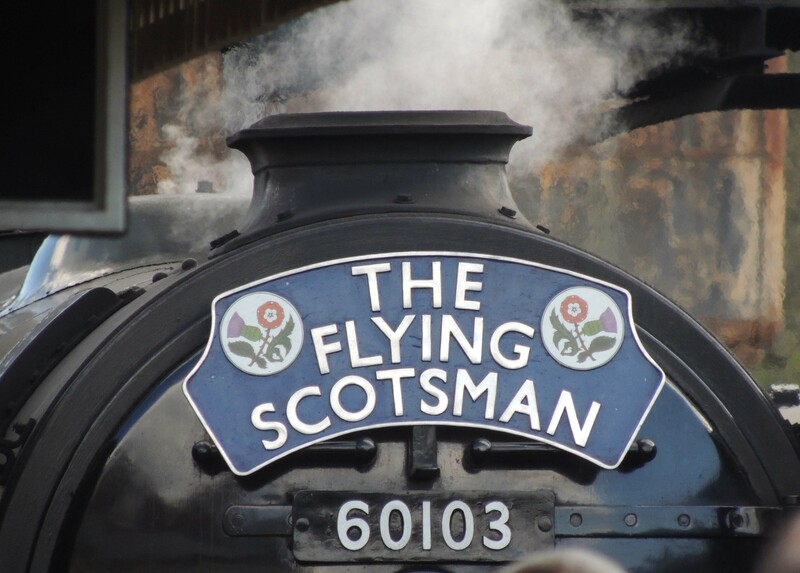 It didn’t receive a name until the following year when it was part of the British Empire exhibition when it was decided to name it after the daily express train from London Kings Cross to Edinburgh ‘The Flying Scotsman’. It 1924 it became the first locomotive to officially be recorded as reaching 100mph and it headed the first non-stop run between London and Edinburgh in May 1928. 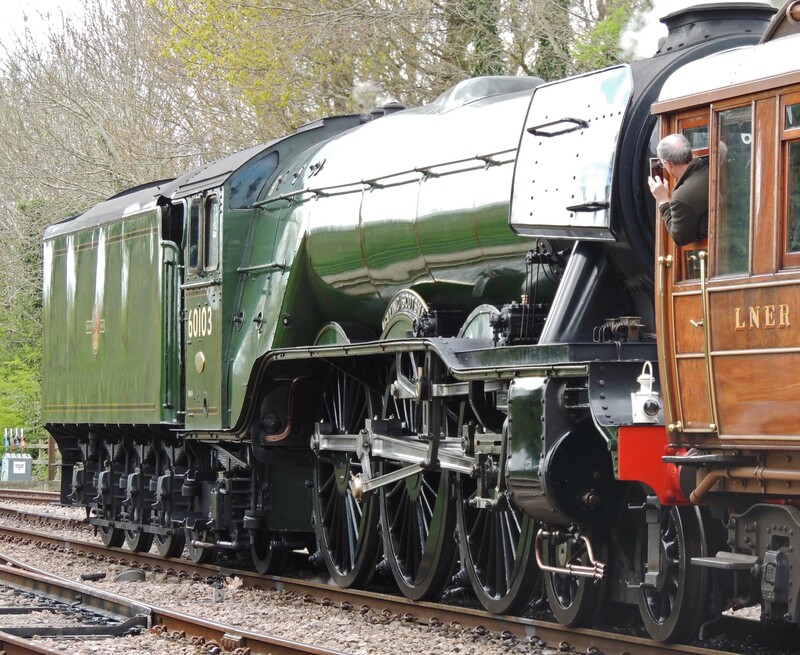 In the 1940s the A1 class was rebuilt and remodelled into the new design A3 Pacifics and 4472 underwent this process in 1947 and was renumbered the following year as 60103 following the nationalisation of the railways. 60103 preparing to leave East Grinstead with southbound service. It hauled its last passenger train on 14th January 1963 between Kings Cross and Leeds. 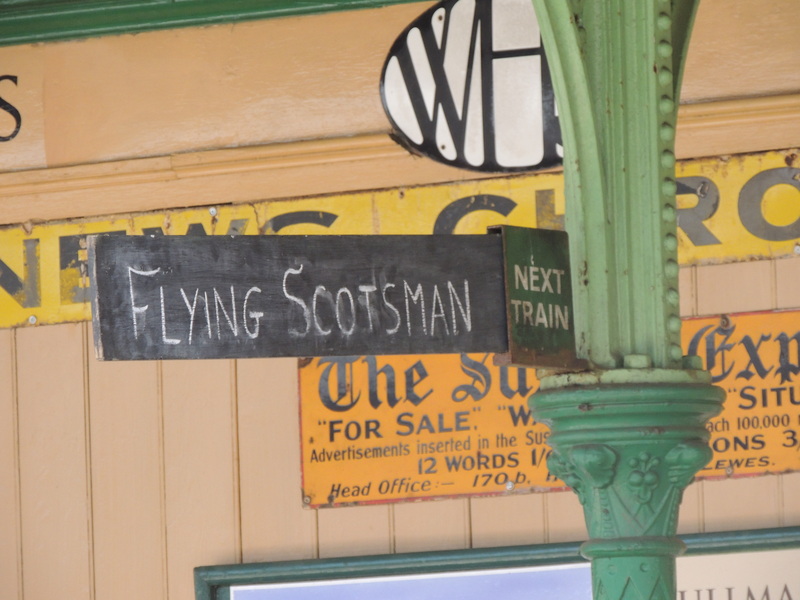 It was bought by Alan Pegler, who put it to work running charter trains. In 1967 it visited the USA as part of a tour to promote British goods and services and was very successful. However, an attempt to repeat this in 1969, saw the company go into bankruptcy and 60103 was seized by American creditors. A rescue operation was put together and new owners purchased the engine and it arrived back in the UK in February 1972. 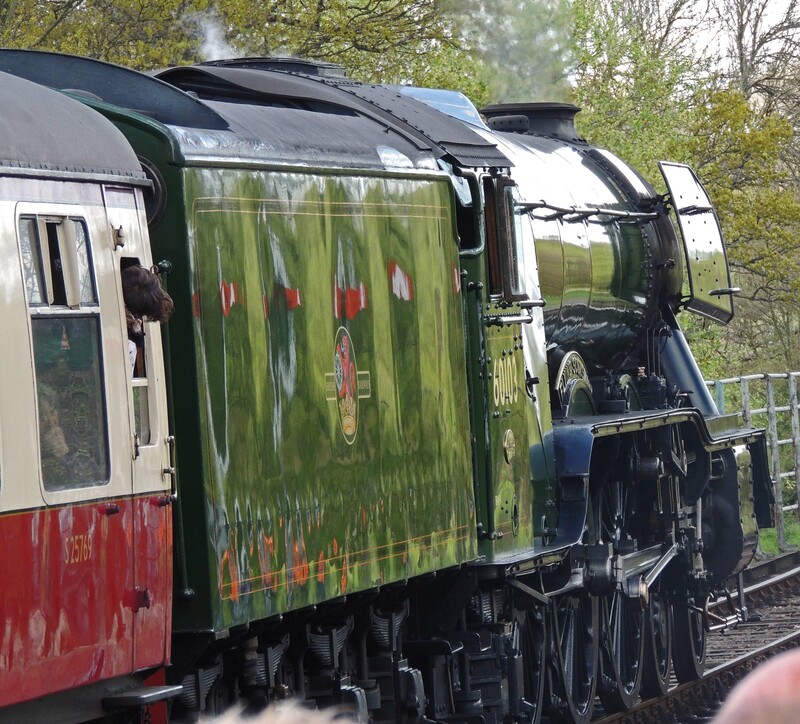 It split its time between mainline charters and work on the now growing number of heritage railways. In 1988 it visited Australia and set the record for the longest ever non-stop run for a steam locomotive (Alice Springs to Perth). Returning the opposite way to which it went out it became the first, and possibly the only, Steam locomotive to have circumnavigated the world. In 1993 it became necessary to restrict its running to heritage lines and two years later it was withdrawn from service. 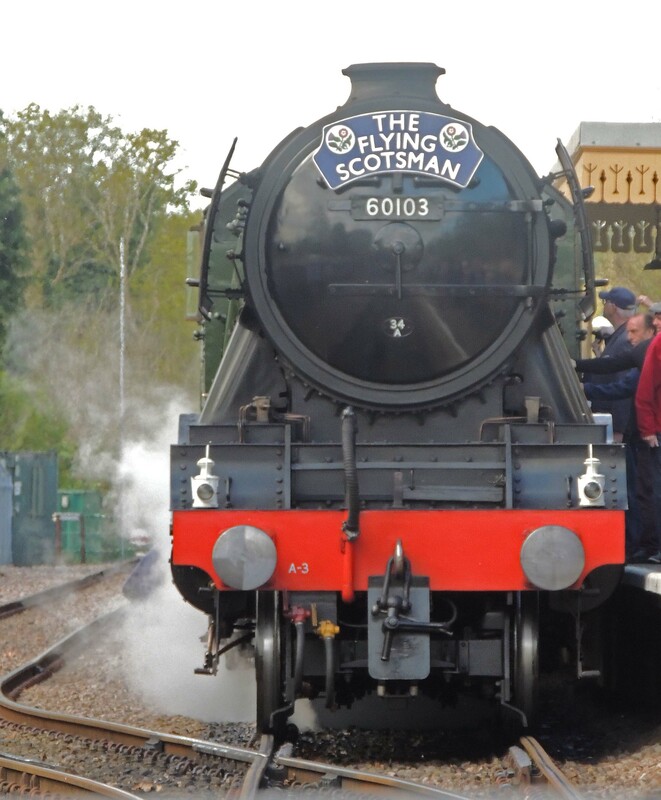 it returned to running in 1999 and continued to run until 2004 when it was bought by the National Railway Museum, who embarked on a 10-year refurbishment programme. 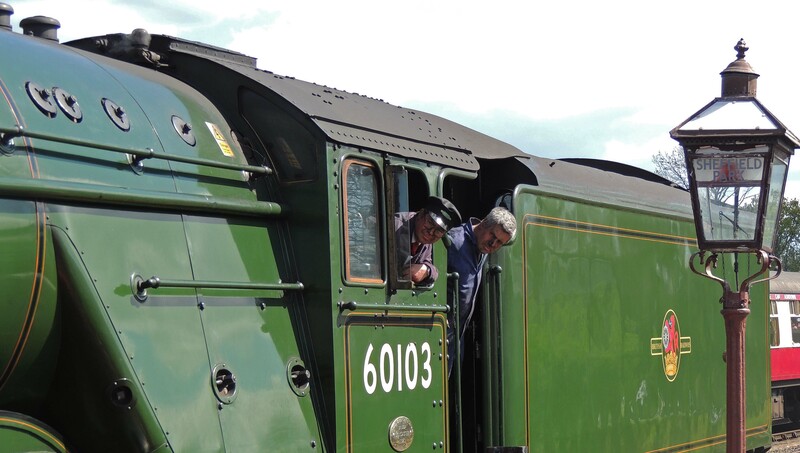 60103 returned to steam in February 2014.